Chenai’s interest in the ICT sector developed from learning of mobiles for development while writing her master’s thesis titled “Mobile phones for development: How have women in the informal sector used their mobile phones to enhance themselves and their business? ”in 2014. 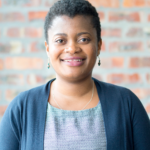 Chenai focuses on issues of ICT access and use and related policy development, and has worked on projects in South Africa, Zambia, Rwanda, Ghana and Kenya. 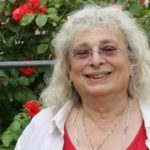 Her areas of research include youth access and use, gendered issues of access, and internet governance. As communications manager, her role is to develop research to communications strategy that sees RIA’s work reaching a diverse audience and being used to develop pro-poor, public interest policy. Chenai is also a founding member of the Southern African Emerging Leaders in Internet Governance community. Chenai holds an MSocSci specialising in Global Studies, and a BSocSci in Gender Studies and Industrial Relations from the University of Cape Town. Ephraim leads ARTICLE 19 Eastern Africa’s work relating to digital rights, internet governance and the intersection of human rights and technology. He has worked over the past 5 years in the Human Rights, Media, Intellectual Property and ICT Law sector in Africa researching the connection between technology and international development. He is an affiliate at the Internet Policy Observatory (IPO) (at the Annenberg School for Communication, University of Pennsylvania) and a member of the UN Secretary General’s Multi-Stakeholder Advisory Group on Internet Governance; the Freedom Online Coalition’s Digital Development and Openness Working Group; the European Commission Global Internet Policy Observatory’s (GIPO) Advisory Group and the Advisory Group for Code Red (a global initiative to accelerate reform of security organisations). 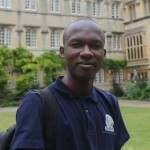 Previously, Ephraim worked on democratic governance, international development and transparency with a diverse range of organizations including Access Now, Transparency International, Index On Censorship, MercyCorps and the Centre for Law and Research International, as well as the East African Community Secretariat and the Kenyan Ministry of Foreign Affairs & International Trade. He also served as an Independent Expert of the Implementation Advisory Group for Competition, Consumer Trust and Consumer Choice (IAG-CCT) at ICANN among other working groups. He holds an LLB (with Honours) and has previous training in internet policy and media law from University of Oxford and University of Pennsylvania. His LL.B thesis examined the Relationship Between Domain Names and Geographical Indications with a special focus on .wine and .vin applications. Fahd has been part of the ICANN world since the summer of 2008 where he was active in many ICANN working groups. In October 2013, he joined ICANN the organisations as part of the Global Stakeholder Engagement Team (GSE) supporting the Middle East. Today, he is deeply involved in some of regional projects that promote ICANN’s work in the region. One key project he works on is the MEAC regional School on Internet Governance (MEAC-SIG) where he has been involved in 4 different editions 2014. He is a member of the Arab IGF Multistakeholder Advisory Group (MAG) since its inception in 2012, and is also a MAG member of the North Africa IGF. He holds a BSc in Computer Engineering with honors, and an MBA. He is happily married and has 3 kids, and calls Amman, Jordan his home. Mawaki is a scholar as well as a consultant and an entrepreneur in the field of Information and Communication Technology (ICT). He is particularly enthusiastic about assisting African countries build the fundamentals for a truly digital economy through inclusive and evidence-based ICT-enabling policies. He has nearly 20 years of experience on societal issues relating to ICTs, consulting for organizations including UNESCO, the International Development Research Center, the Open Society Foundations, the African Union’s NEPAD Agency, UN’s Economic Commission for Africa, Hivos, the Association for Progressive Communications (APC), etc. 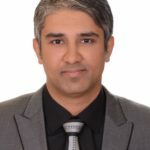 Mawaki earned a PhD in Information Science and Technology from Syracuse University (Syracuse, New York) with a research focus on Internet governance, policy and digital identity management. 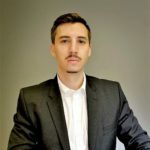 He is a founding member of the Board of Trustees at Sovrin Foundation which has been set up to govern a global public utility for decentralized identity provided via Sovrin Network, and is dedicated to building a trustworthy identity layer to the Internet protocols. Over the last dozen of years, Mawaki has been actively involved in internet governance spaces such as the Internet Corporation for Assigned Names and Numbers (ICANN), particularly as a Policy Councillor in matters the Internet’s generic top-level domain names; the global civil society’s Internet Governance Caucus; and the UN-led process, Internet Governance Forum, both at global level and on various levels in Africa. 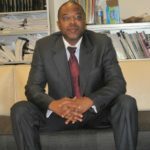 Founder of DigiLexis Consulting, Dr. Chango intends to increasingly engage his thoughts and actions to help spur Internet-enabled entrepreneurial opportunities in Africa as well as governments to embrace the most adequate policies in that regard while improving their own operations in the digital age. 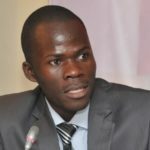 Currently residing in Togo where he lectures at Kara University, Mawaki speaks English, French and Portuguese. Walther is fascinated with how technology affects us every day and finds it important to grasp the legal implications of this relationship.He is proactive when it comes to understanding emerging and disruptive technologies. His passion for technology and the law has led to the interaction with very interesting people on issues such as regulating self-driving cars and cryptocurrencies to blockchain based anti-piracy tools to global internet governance issues. He always attempts to link emerging technology back to how it affects the law or what the legal implications there might be. Walther’s current work revolves around understanding and interpreting risk stemming from the use and interaction with technology. His exposure ranges from drafting website compliance documents to examining the impact of various laws on the digital space in Africa. He spoke at the Forum on Internet Freedom in Africa 2017 (FIFAfrica17) on the impact of internet shutdowns on the rule of law in Africa at. He was selected as a member of the NextGen@ICANN59 program where I presented on the geoTLDs (Africa in particular) and Universal Acceptance in an African context. He enjoys staying updated on the latest technological advancements with policy and legislative changes thrown in for good measure. He is on his way to becoming an expert advisor on issues such as cybersecurity and cybercrime, online privacy and data protection, innovation technology and ICT contracts. Koliwe is a Zimbabwe born journalist, digital and media rights activist with over 15 years experience. Her journalistic experience includes working in both the print and broadcasting media as a desk reporter and producer/presenter with the country’s national broadcaster, the Zimbabwe Broadcasting Corporation. 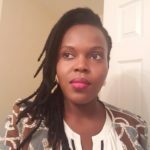 Earlier this year she ventured into digital journalism as a blogger with the launch of her personal website [Hyperlink], where she analyses broadcast and Information Communication Technologies (ICT) in Africa within global developments. In her current position as Programme Officer for Broadcasting and ICT at the Media Institute of Southern Africa’s Zimbabwe Chapter, Koliwe is involved in lobby and advocacy work for diversity, plurality and democratic governance of both sectors. In her position, held since 2007, Koliwe has contributed significantly to the development of the community broadcasting movement and calls for broadcasting reforms in Zimbabwe. 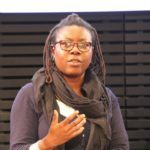 As an alumni of the African School of Internet Governance (AfriSIG) and the Internet Corporation for Assigned Names and Numbers (ICANN) fellow, Koliwe has over the past two years also left her footprint in Internet Governance discourses in not only Zimbabwe’s internet governance processes, but also regional and global forums. She has managed to do through research, multi-stakeholder engagement, networking and thought leadership. Olga is a Cameroonian who has been working as a freelance translator (eng-french and vice versa) for the past 12 years and later also became a freelance digital security consultant and trainer. She loves working on women empowerment project as has the desire to see all women and girls become self-reliant through the use of the internet and ICTs. 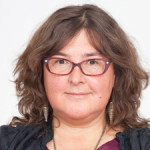 Olga is an Alumni of AfriSIG 2015, year during which she started being involved in internet governance issues and taking part in some of its processes. In addition to being a freelancer, she currently works with the Association for Progressive Communications (APC) as the Africa communications officer and French editor.